Budapest University of Technology and Economics has eight faculties. The Faculty of Economic and Social Sciences is the youngest, which has been operating as an individual faculty since 1998. In 2017 the current structure of the faculty was created by dividing it into nine departments (including the Department of Economics) and three other educational units. The main topics taught by the department are Microeconomics and Macroeconomics, International Economics, Industrial Organisation, Development Economics, Econometrics and the Analysis of Economic Time Series. Some of these topics are taught at the bachelor-level engineering programs, and the bachelor-level economics program, while others aim to deepen specific economic knowledge at master-level programs. The research activities of the group also cover Growth Theory, Human Capital, International Finance and some application areas. 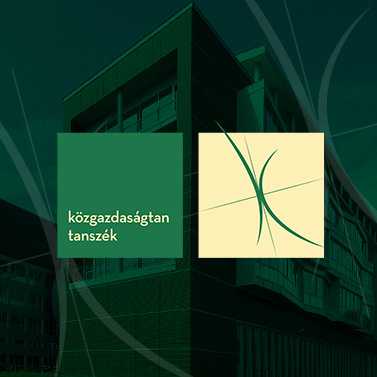 The current Head of Department is Zsolt Gilányi PhD.